I first posted this story on January 9, 2013. Well, here it is January 24, 2019, and I thought it was time to re-post it because I really want you to add these glorious French creations to your dessert repertoire. Beating egg yolks until thick, egg whites until they hold a perfect peak, and folding the two together while sifting in the flour, are techniques you will use over and over again. Trust me. When’s the last time you made ladyfingers? What? You can’t remember? And what the heck are they, anyway? Well, they’re sort of finger-shaped sponge cakes made from an airy batter of beaten egg yolks and egg whites and cake flour. I learned how to make them watching Julia Child on the French Chef episode “Introducing Charlotte Malakoff.” I get a thrill whipping up whites and yolks, and Julia made everything look so easy, I decided to try my hand at them. You can watch this episode on Amazon.com. Julia Child, The French Chef, Season 3, Episode 10. 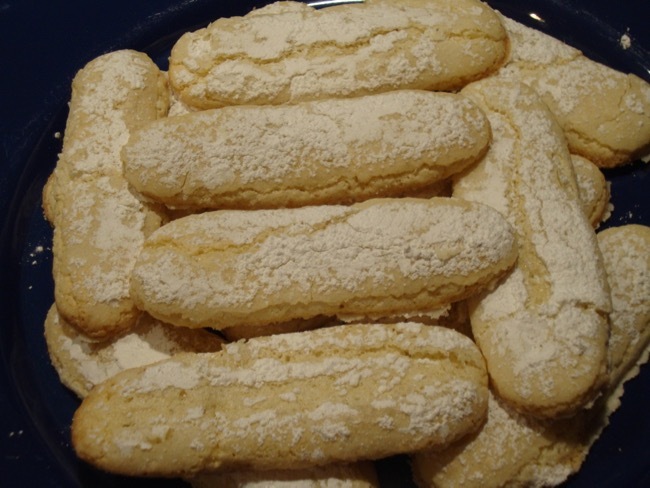 The success of desserts such as tiramisu, Charlotte Russe, or Charlotte Malakoff, depends on having the best ladyfingers possible. And the best ladyfingers are homemade. Not sure what these three desserts are? They’re basically molded creams or flavored whipped cream and cake, the cake being ladyfingers. The beauty of homemade ladyfingers is that you can make them the exact size you want depending on the kind and size of mold your dessert requires. You’ll need a pastry bag with a metal tip that has a plain round opening measuring about ½-inch. were beating, and she whipped them by hand with a huge wire whisk in a copper bowl). The whites must be stiff enough to hold their shape within the wires of the whisk. The final batter is thick and light and holds its shape when pressed through a pastry bag. After the ladyfingers are formed you dust them with confectioners’ sugar and pop them into the oven. You can bake them ahead and freeze them for a week or two before using. This is the classic French sponge cookie that is delicious eaten plain with tea or coffee. Ladyfingers are tender and light and are perfect to use as a cake in molded desserts. Although commercial ladyfingers are a terrific convenience and are fine to use, your own homemade ones have more character. They are best when very fresh, and they keep well in the freezer for 2 to 3 weeks. You will need a large pastry bag, about 12- to 14-inches long and a plain metal tip with a 1/2-inch round opening. 1. Adjust two oven racks to divide the oven into thirds and preheat the oven to 300 degrees. Butter two 14-by 17-inch cookie sheets and dust with all-purpose flour; knock off excess flour. Insert the metal tube into the pastry bag and tuck some of the bag into the tube to form a “plug”. Fold the top of the bag to form a cuff and stand the bag upright, with the top open, in a tall narrow bowl or 1-quart measure. 2. In a medium-size bowl, start beating the egg yolks with a hand-held electric mixer on medium speed. When the yolks begin to thicken, gradually sprinkle in the ½ cup granulated sugar. When all the sugar has been added, stop to scrape the bowl and beater. Beat on medium- to medium-high speed until the yolks are very thick and pale and form the ribbon. Beat in the vanilla. 3. 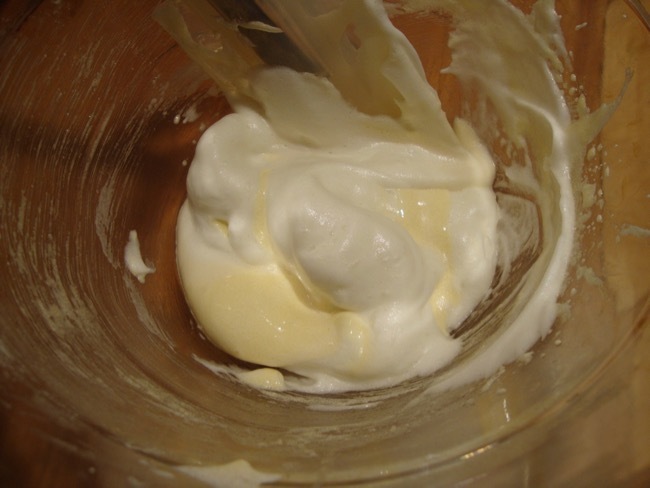 In a large bowl, whip the egg whites and salt with a large wire whisk until foamy. Add the cream of tartar and beat until soft peaks form. Gradually beat in the 2 tablespoons granulated sugar. 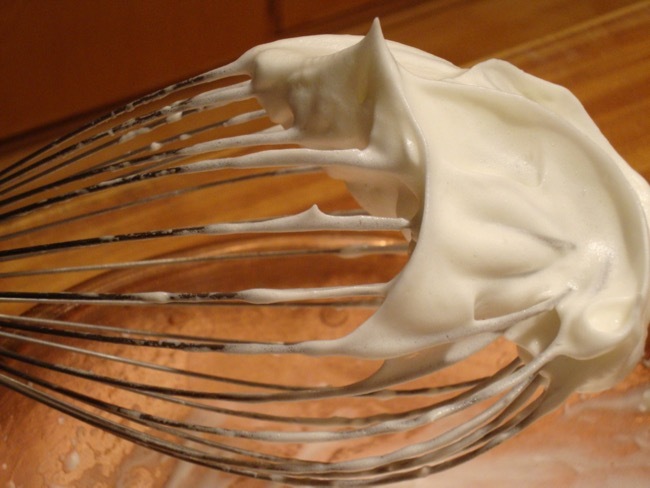 Continue beating until the whites hold a shape within the wires of the whisk and form stiff, glossy peaks. 4. Stir a large spoonful of whites into the yolks to lighten them. Spoon another dollop of whites over the yolks and sift in about a quarter of the flour. Fold together gently trying to deflate the whites as little as possible. Don’t be too thorough at this point. Repeat three more times with the remaining whites and flour. Batter should be thick and airy. cookies lightly with confectioners’ sugar pressed through a sieve and immediately place the pans in the oven. 6. Bake about 15 minutes, reversing the sheets top to bottom and front to back once during baking. 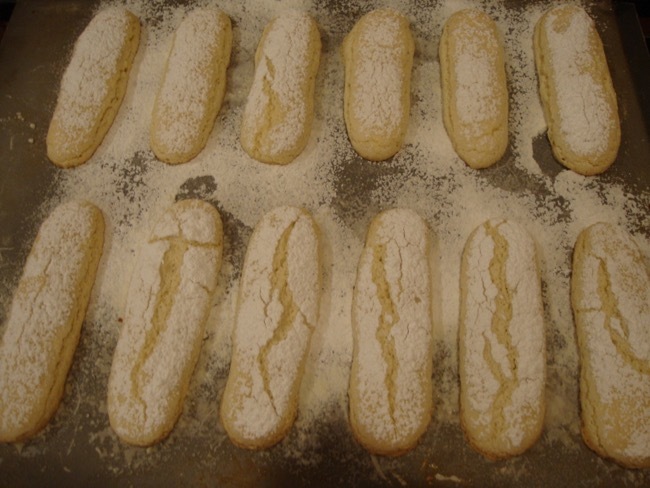 Bake only until the edges and tops of the ladyfingers are lightly colored and spring back when gently pressed. Dislodge the ladyfingers from their sheets with a firm metal spatula and set them on wire racks to finish cooling. Store airtight to prevent them from drying out. 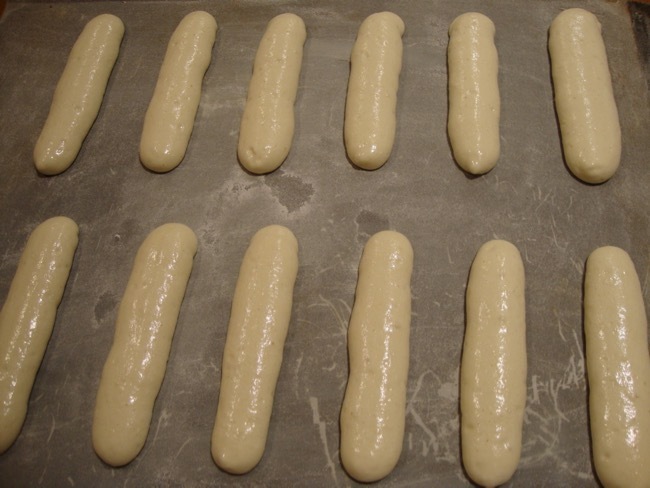 Makes 2 dozen ladyfingers, each 4 to 5 inches long and a generous 1 inch wide. Welcome to my baking wizardry blog, where we’ll explore the hows, whys, and utter magic of baking. Unlike regular cooking, baking transforms everyday ingredients into totally new and scrumptious treats. Whether you’re an experienced baker or a novice, you’ll find baking a wondrous journey of discovery. Won’t you join me?